February is the best time to prune most shrubs and trees. Selectively removing dead, diseased or damaged branches and shoots now will give you healthier plants in the spring. Pruning also enables you to shape trees and plants for safety and aesthetic reasons. 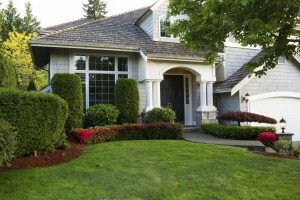 Proper pruning will reward you by creating a clean and healthy lawn and landscape. Rejuvenate mature shrubs and trees. It can help to restore their vigor and improve their appearance. Enhance their health. Getting rid of the dead stuff reduces decay and insect infestation. Enable them to breath more easily. Thinning out a dense canopy allows air and light to penetrate more easily. Manage the size of your plants. It helps to keep them in proportion with your landscaping. You may also want to try your hand at creatively shaping your ornamental shrubs. Promote flowering and fruit production. This is species-specific. Consult with your garden center specialist about proper pruning of flowering plants and fruit trees. Keep you and (possibly your neighbors) safer and happier. Corrective pruning reduces wind resistance in some trees, so they will be less likely to blow down in heavy winds. You may also want to remove limbs that are walkways and other well-traveled areas, as well as those hanging over fences. You may need a variety of cutting tools, depending on the size of the plants needing your TLC. Always select quality tools because they’ll work more easily and will last longer. Sharpen the blades regularly. Keep them clean, dry and oiled, to prevent rust. Make sure you use the right equipment for all of your pruning projects. Hand pruners: Use these for cutting stems up to ¾ inches in diameter. Choose ones with scissors-type (bypass) blades because they are easier to use, and less likely to crush the stems as they cut. Lopping shears: Ideal for branches up to 1-3/4 inches in diameter. Pruning saw: Use for brands up to 2-1/2 inches in diameter. Finely-toothed, curved pruning saws are great for making clean cuts in areas that are difficult to access. Coarse-toothed saws can handle larger branches. Pole pruners: Great for those out-of-reach branches which are up to 2 inches in diameter. A fully extended can reach high branches where using ladders would be inconvenient or even dangerous. Be extremely careful about using any kind of trimmer around utility lines. You may want to call your utility company instead. Chain saw: Use to cut branches greater than 3-inches in diameter. Always wear appropriate safety gear. Pruning shears or a hedge clipper: Available in manual or power, using one of these is a fast way to trim hedges in a straight line. Pruning causes wounds. Doing it correctly will minimize this damage, so your plants will have an easier time sealing off these wounds. Timing is also an important consideration. It’s less stressful on your plants to give them plenty of time to heal, before they need their energy to produce buds and leaves in the spring. Shrubs: In general, the faster a plant grows, the more you can cut it back. Some plants, such as ornamental shrubs, respond well to severe pruning. When in doubt, follow the one-third rule. Try never to take more than one-third of the plant at once. Shorten individual branches to manage the size of the plant. Clip off entire branches to thin bushes that have become too thick. Trees: To avoid damage, be careful never to prune branches so that they are flush to the trunk. Stay just ahead of the branch collar. That’s the region of slightly raised bark at the base of each branch. For limbs greater than one inch in diameter, make a small cut on the underside of the limb first. That will help to keep heavier branches from falling and peeling away bark as they do so. Also, think twice before topping the tree. That can stress and weaken it. Since tree trimming can be dangerous, you might want to leave bigger jobs to a certified arborist. Before hiring a professional, always verify that they carry insurance that covers damage to your property and any injuries sustained by their employees.